Synopsis: The second book in the mind-blowing new series from the author of GONE.The first battle is over, but the war rages on.Sanity or madness? Truth or happiness? Love or survival?In the nano, you don’t get to decide.Noah and Sadie are now trained twitchers. They know how to wire a person’s brain from the inside, and how to get out alive. But they’re still reeling from their first encounter with the Armstrong Twins, and there’s no time for grief. As long as Bug Man has control of the US President’s mind, the future is on a knife-edge.Escapism doesn’t get more thrilling than this. As Michael Grant’s widely read (and widely acclaimed) Gone series comes to a close, his new, older, grittier series is about to take off with the publication of the sequel to 2012’s BZRK, BZRK: Reloaded. Grant has a lot to live up to: reviews for the novel that kicked the nano-tech phenomena off (including mine) praised the originality and execution of the novel. This was a series to look out for. And it still is. The initial novelty of the concept has worn off, but the thrill of it hasn’t. The notion of nano and bio-technological warfare is an intriguing and original one, and as we get stuck in the “meat” for a second time, things have changed and there are new generations of tech ready to take nanolevel warfare to a whole new level. There is a definite sense that this is a middle book. Most notably is the lack of drive to a large, bombastic climax that brings all the characters together. Instead, we’re dealt several smaller climaxes throughout the novel that lay the foundations for what I hope will be a fantastic third book. Grant might have countered the lack of a real physical drive by including a more emotional one, perhaps between Keats and Plath, and whilst this does play a part to an extent, it’s not fleshed out as much as it could have – and perhaps should have – been. 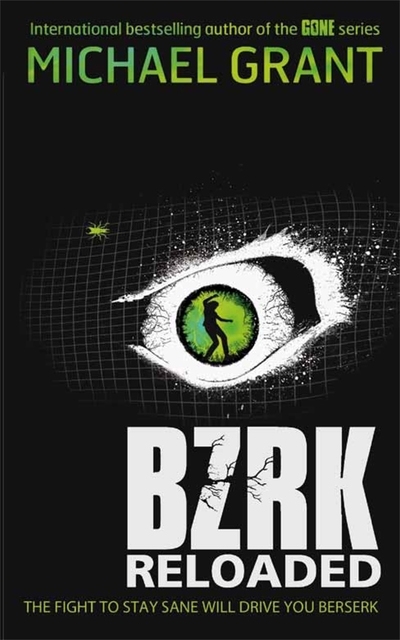 As with BZRK, Reloaded has a superbly fast pace. This is achieved through Grant’s frequent and short bursts of narrative from a whole multitude of perspectives. It’s almost too much and I was left wondering if it could have been a little more intense if he’d slowed down for key scenes and really developed turning points a little more. As with the original, though, Grant’s confident prose is delicious with its occasional sarcastic authorial commentary. Reloaded may suffer from a sense of middle-book syndrome, but don’t let that put you off; it’s still a solid sequel from an author who is at the top of his game and whose prose is with the best in contemporary YA writing. Reloaded is exciting and original – bring on BZRK3!